Firefighters in Paris have confirmed the blaze which ripped through Notre Dame Cathedral last night, April 15, is now fully extinguished. 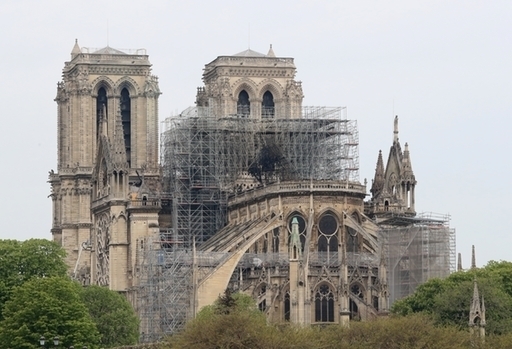 The historic landmark lost its famous spire and most of its roof, though thankfully most of the relics and pieces of art kept inside were saved – these include artifacts such as Christ’s crown of thorns and St Louis’ tunic. The fire continued throughout the night, destroying large parts of the wooden structure of the gothic building. Pictures from the scene this morning show that a large portion of the cathedral is still standing, and it is mainly the wooden sections that have been ruined. A huge amount of scaffolding was already surrounding the 850-year-old cathedral, as it had recently been undergoing restoration works. Firefighters have suggested the restoration works could be the accidental cause of the fire, as it is thought to have started in an attic, though no official cause has been given at time of writing. French President Emmanuel Macron has pledged to rebuild the cathedral, with donations pouring in for its restoration. A French billionaire, Francois-Henri Pinault, has already pledged 100 million euros to help rebuild the structure. Pinault is the chief executive of Kering, the company behind major brands like Gucci. He made the announcement just a few hours after the fire started. Pinault, who is married to actor Salma Hayek, released a statement via AFP, as reported by journalist William Plummer on Twitter. My father (François Pinault) and I have decided to release from Artemis funds a sum of 100 million euros to participate in the effort that will be necessary for the complete reconstruction of Notre Dame. Macron described Notre Dame as the soul of the French nation, and – since the fire was extinguished – has expressed relief, saying ‘the worst has been avoided’. Roughly 400 firefighters tackled the blaze throughout last night, April 15, and into the early hours of today, April 16. After nine hours it still was not completely extinguished, but was under control. 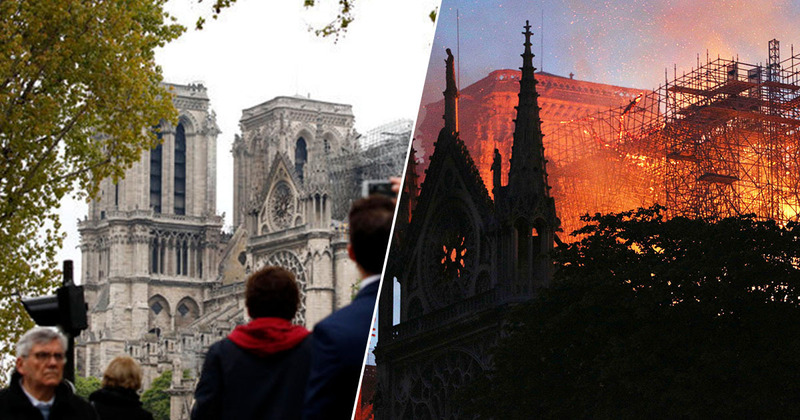 Jean-Claude Gallet, Paris fire brigade chief, said ‘We can consider that the main structure of Notre-Dame has been saved and preserved’, as well as two bell towers being saved, Metro reports. Unfortunately, according to fire brigade spokesperson Lieutenant-Colonel Gabriel Plus, ‘the whole of the roof has been devastated… a part of the vault has collapsed, the spire is no more’. While the immediate danger of the fire is over, authorities are now working to assess the damage to the structure of the building.